The North West Coalition to Repeal the Eighth consists of community activists, NGOs, Trade Unions and political representatives who have united with a shared vision to repeal the eight amendment. 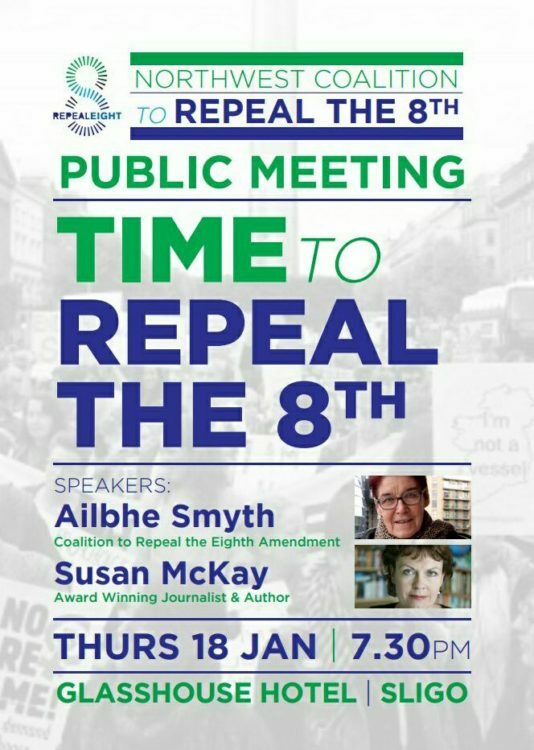 The speakers on the night will be Susan McKay & Ailbhe Smyth. Susan Mckay is well known in Ireland and abroad as an award-winning journalist and writer, as well as a broadcaster and documentary maker. With a referendum due to take place in 2018, the coalition is now calling on those who are interested in campaigning for a repeal of the eight amendment to attend the open meeting.